Jende and Neni, a couple from Cameroon, emigrate to America in the hope of fulfilling their dreams for a prosperous life together. They dream of interesting careers, enough money for a house and a car and a good education for their children. America is rich in opportunity, not like Cameroon. America is where their dreams will come true. The reality of life as an immigrant without the correct papers is much harder. They often work two, if not more, jobs. They live in a tiny cockroach filled apartment and sleep in the same room as their son. Things start to look up when Jende is hired as a chauffeur to Mr Edwards and his family. Mr Edwards works on Wall Street for Lehman’s. And as the sound of that company name builds tension for the reader, the interaction and interdependence of the two families forces us to question their seemingly obvious differences. Living fulfilled and happy lives is difficult no matter where you come from and how much money you have. I don’t mean to suggest that the novel isn’t realistic about what money can buy. It is exceedingly realistic. Both Mrs Edwards and Neni understand the importance of money when it comes to opportunity. Both women are prepared to fight harder, and dirtier, than their husbands for the future of their children; and they understand the risks and sacrifices involved. But ultimately, who has the upper hand in the family? Whose voice carries the most sway? In both cases, the husband and this makes for an interesting feminist undercurrent. The women in Behold the Dreamers often want things for themselves as well as their husbands and children, but their dreams are always the first to be sacrificed, regardless of their heritage. Even if it is gentle, misogyny is something both cultures share. Jende himself notices that despite what American women say, they must all want a husband, because he can see no other reason why romantic comedies always end in getting a man. This is what is so delightful about Behold the Dreamers: the myths of both African and American society are blown wide open. Both American and Cameroonian families dream of happiness and fulfilment and both families are forced to confront difficult decisions. Neither family is perfect. Neither country is perfect either. America is richer, but Cameroon isn’t without opportunity or the possibility of a good life. Compromise is a powerful word that Behold the Dreamers forces both families to confront. What dream is so important that you will risk all to achieve it? What dream deserves that level of devotion? There is economic difficulty, family upheaval and argument, blackmail and subterfuge, love, pride and compromise. Behold the Dreamers is a gripping novel that you won’t want to end. The characters feel real, do unexpected but believable things, and become people you want to know more about. In our international, multi-cultural world, where the stability of nations falters under multi-national corporations, these are stories we need to hear. What dreams should we have for ourselves and our countries? 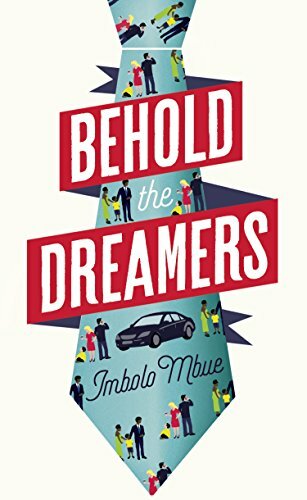 I will be keen to read what Imbolo Mbue writes next, but in the meantime Behold the Dreamers is published on August 23rd. Next week I’m reading The Ship by Antonia Honeywell.